Hue Color Lounge, an elegant salon offering custom haircuts for fine hair, great hair color, haircuts and highlights. Come experience Hue Color. Come experience style and class at Asheville hair salon Hue Color Lounge. 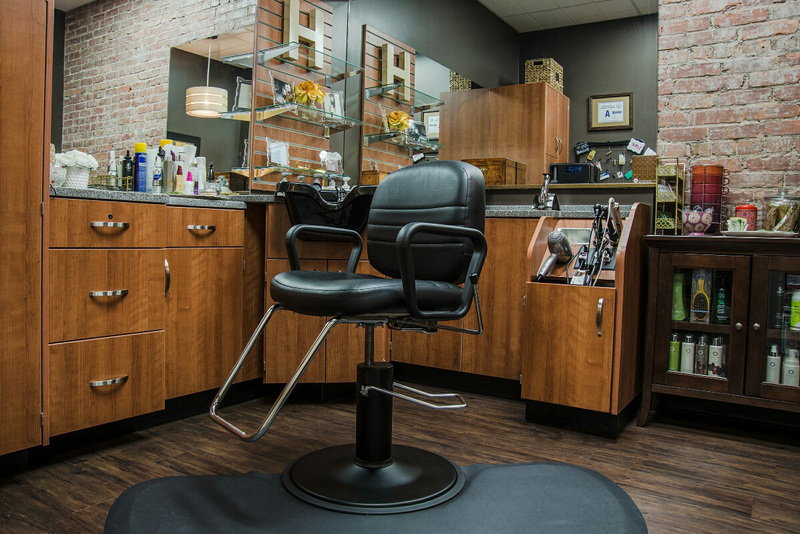 Hue Color Lounge is an Asheville hair salon that specializes in haircuts for fine hair. Hue Color Lounge enhances your custom haircuts and great hair color with Onesta natural hair care. Come find a look that best matches your lifestyle, will highlight your best attributes and let your individual personality shine through. 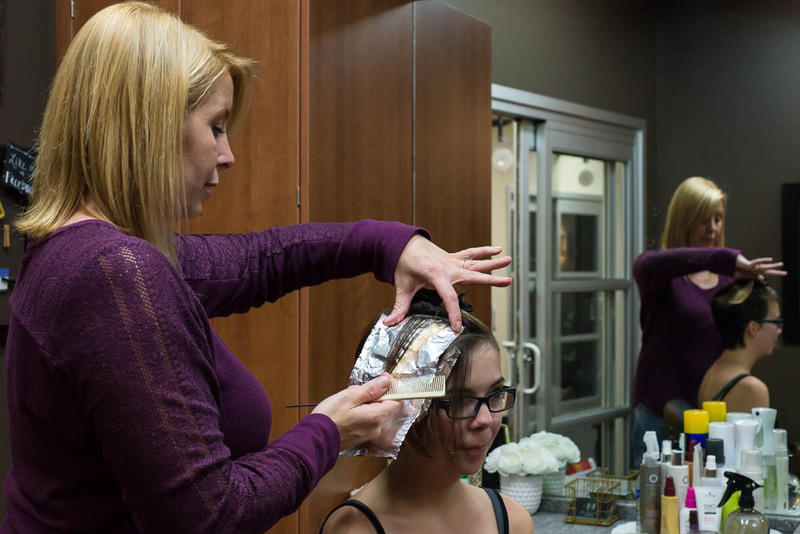 Whether you are looking for highlights, color correction, or a great hair color, as a client you will experience Anna’s genuine desire to connect as your hair stylist. Hue Color Lounge enhances your custom haircuts and great hair color with Onesta natural hair care. Discover just how amazing your hair can look and feel using Onesta natural hair care products that are rich in antioxidants and Certified Organic botanicals extracts that revatilize and nurture and protect the hair. 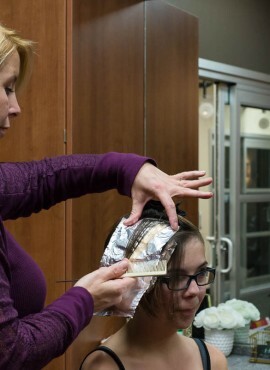 We also offer Keratin treatments to nourish and smooth your hair. You’ll emerge feeling sleek and sophisticated. Over the last 4 years since I moved to Asheville, Anna has been dedicated in learning my crazy hair! She can cut short, long, curly and straight. And she is warm and inviting to not only me but my three kids. My young sons will not go to anyone else except for maybe my husband but even then, my five year old cried because we weren’t going to Anna. And she does a beautiful job with my nearly teenage daughter who has asked for pixies and bobs. Her new space is perfect. I don’t have to worry about my kids bugging anyone, and we can chat without feeling like a bunch of other stylists and clients are listening. Making the move to Asheville a year ago on my own was tough. Almost as tough as leaving behind stylists I trusted and had known for years. Meeting Anna was at once a godsend. She has the perfect eye for natural highlights and colors that complement my color. She knows when my hair needs an extra boost of shine or conditioner and when it needs to be left alone. She takes her time and strives for perfection. Visiting her every couple of months is always the bright spot of that particular week. The reason why I love her most? The wisdom and insight and comfort and laughs she provides when I sit in her chair. 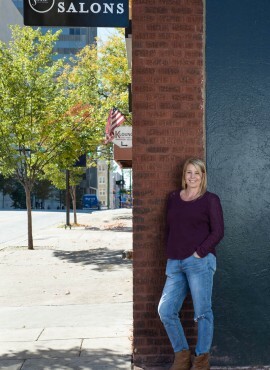 She is a master of her craft and a true friend, and I’m so excited to watch her grow at Hue. Way to go, woman! was so lucky to have found Anna when I first moved to Asheville! I have always been very particular with my coloring after some bad experiences, and I am pleased with Anna in every way. She is very good at achieving what you want, and at the same time keeping your hair healthy. She is very down to earth and I always look forward to my time with her. 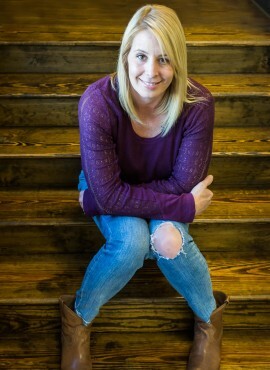 It is hard to find someone that truly cares and is not just trying to get the job done, so thank you Anna for being a stylist I can trust and enjoy! As a child Anna was drawn to the art of hair, styling custom haircuts for friends and family. 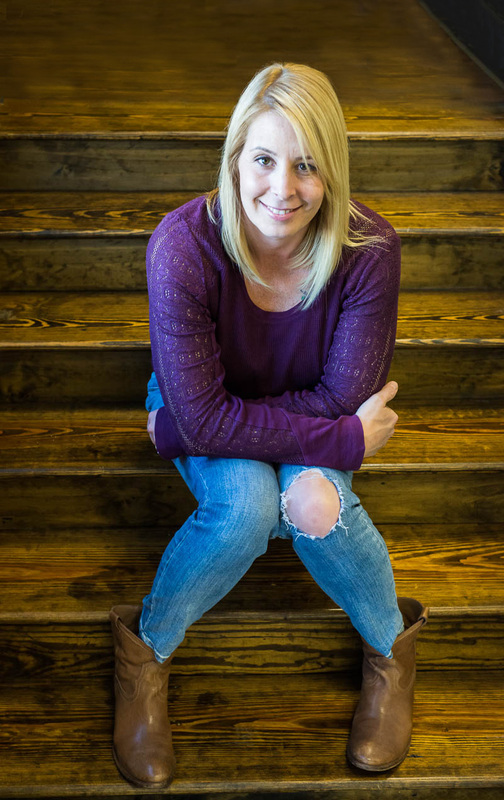 With 18 years professional experience, 5 years at Asheville hair salons and an art background from Virginia Commonwealth University, Anna has a keen eye for color and shape. 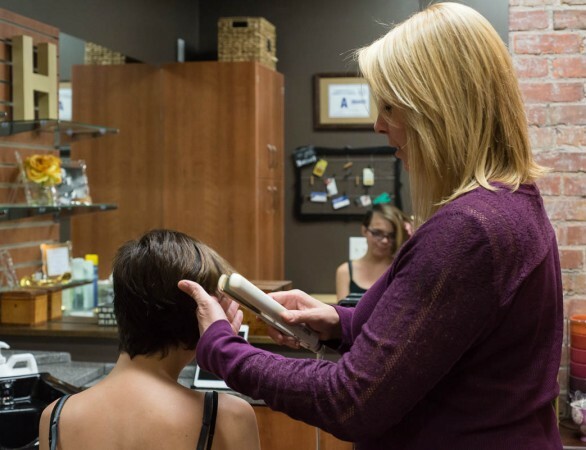 Whether you are looking for haircuts and highlights, color correction, a great hair color or a monthly trim, as a client you will experience Anna’s genuine desire to connect as your hair stylist. 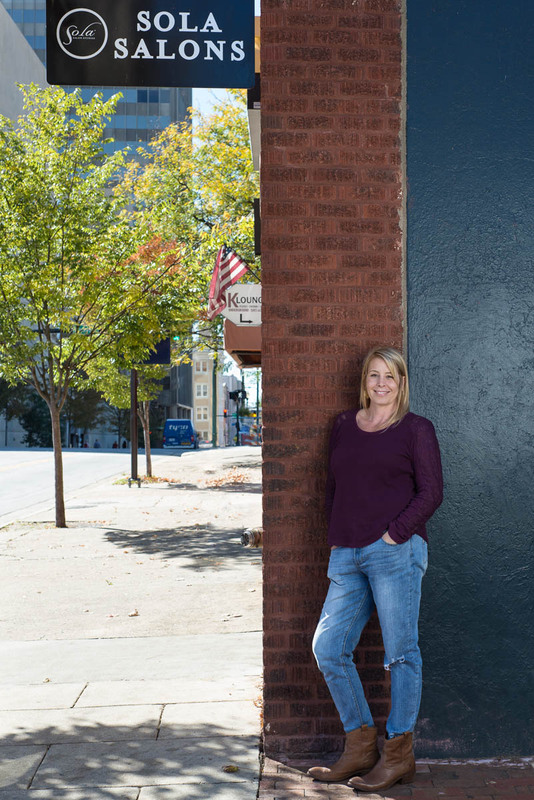 Anna’s salon, Hue Color Lounge is an Asheville hair salon that specializes in haircuts for fine hair, haircut styles for women and great hair color. Anna is a prefectionist at heart and can help you find a look that best matches your lifestyle, will highlight your best attributes and let your individual personality shine through. Come experience style and class at Asheville hair salon Hue Color Lounge. 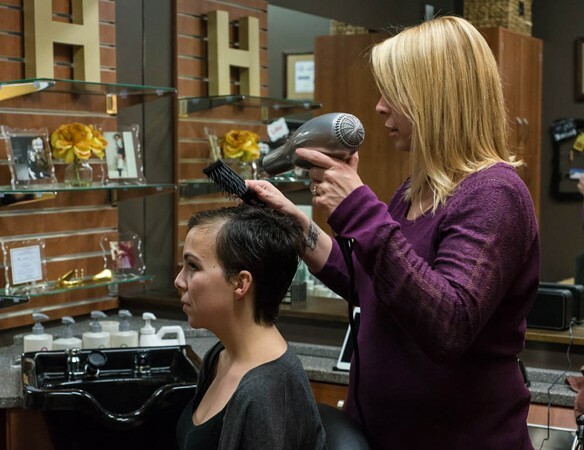 Nestled in the unique Sola Salons of Asheville, Hue Color Lounge offers all of the latest hair trends in color, custom haircuts and haircut styles for women and men, while papmering you with luxury and relaxation. 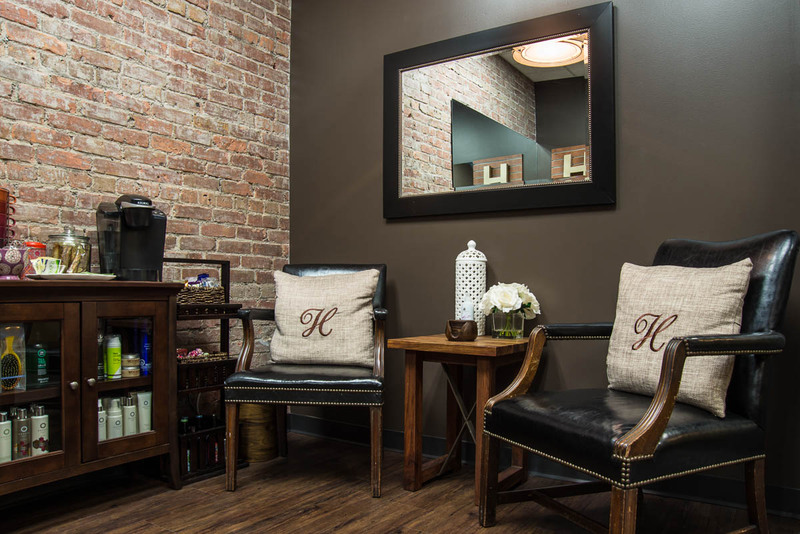 Hue Color Lounge is a very private Asheville hair salon offering free wifi if you need to work while your service is preformed and is proud to offer a wide selection of snacks as well as beverages. 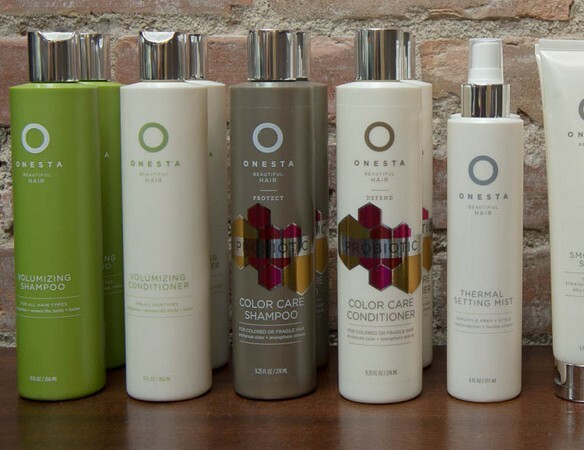 Hue Color Lounge is one of the hair salons in Asheville that is also proud to offer Onesta Hair care line. Hue Color Lounge enhances your custom haircuts and great hair color with Onesta natural hair care. Discover just how amazing your hair can look and feel using Onesta natural hair care products that are rich in antioxidants and Certified Organic botanicals extracts that revatilize and nurture and protect the hair. 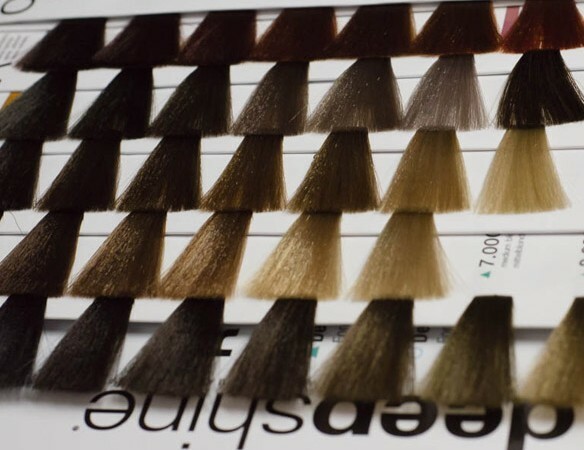 Hue Color lounge is a hair salon in Asheville that is committed to lessoning the carbon footprint in the salon and is proud to offer a prodcut that is also commited to preserving the earth. Onesta haircare is committed to the enviroment and sustainability as well as using natural ingredients. Using wind power and recyled plastics in their bottles they feel the importance to be enviromentally responsible through practices. 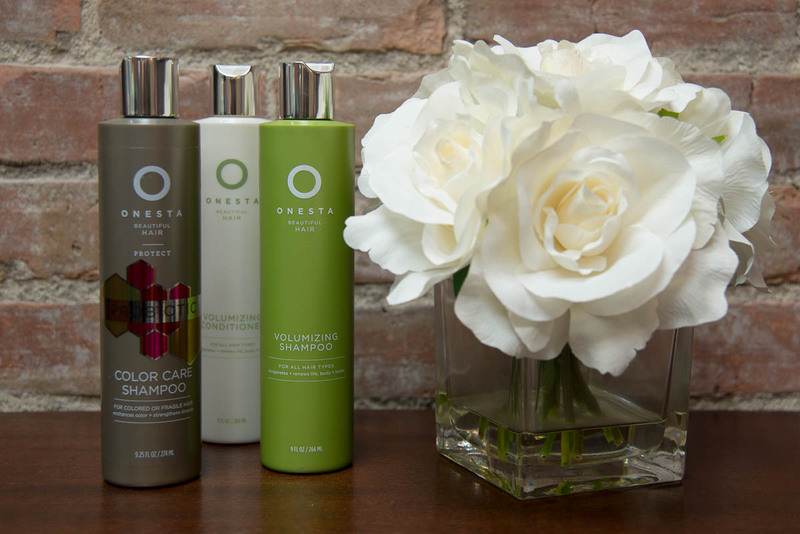 Onesta is free of harmful chemicals, PETA approved and a cruelty free company.